Melbourne Victory FC secured the 2nd spot of the 2016-17 season of the Australian A-League with a total of 49 points. The last league match that Melbourne Victory FC played was on April 14 as they overcame CC Mariners with a final scoreboard of 1-0 and a few days after that, the head coach of the club Kevin Muscat talked about the season which recently reached it’s end and how he feels about everything that has been going on. 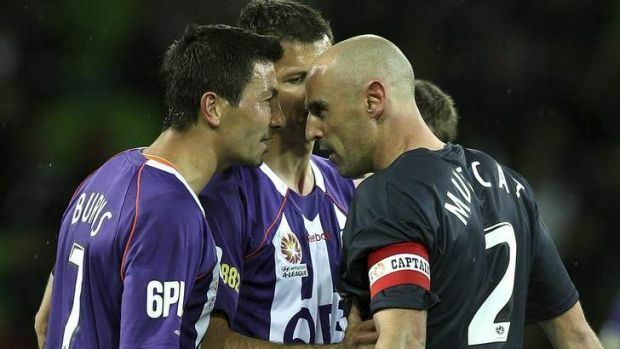 Being able to secure the 2nd spot of the Australian A- League allows Melbourne Victory FC to automatically qualify for the Finals Series and the team of Kevin Muscat is scheduled to play their 1st match of this competition at the end of April. 2nd place is a significant better ending position for Melbourne Victory FC in comparison to their previous 2015-16 Australian A-League which saw them having to settle with the 6th position but their latest season has seen the players of Kevin Muscat performing much better than before. Kevin Muscat is hoping that this impressive string of performances from his squad can continue to roll over for the upcoming Finals Series which is edging closer and closer.